Gabriel sacrificed everything for the woman he loved—even his wolf. But the time has come for endings, and only he can bring down the evil that has plagued Westervelt for too long. You’ll laugh. You’ll cry. You’ll fall in love all over again in the thrilling conclusion of Rebecca Royce’s The Westervelt Wolves series! 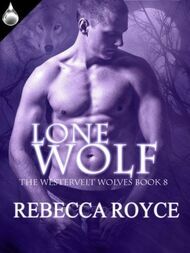 Content Notes: Paranormal, Shifters, Wolves, Other Weres, Suspense, Magic, Witches, Spicy.